Pearlescents Swirlette Cover is a uniquely manufactured coated one sided (C/1S) paper with a tight swirling pattern. 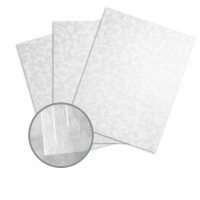 Its surface is derived from a mica based coating, which creates a distinctive pearlescent sheen. Beautiful in its un-printed state, when printed it makes inks appear to leap from its surface. 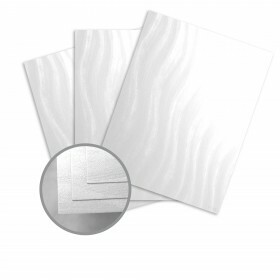 Pearlescent Mica Coated Embossed Papers are easy to print on when following these simple hints. We recommend you pre-test all procedures prior to press time to ensure you achieve the desired results. For optimum results, we recommend low-solvent (0-5%) inks that dry by oxidation. Inks with higher solvent content can inhibit ink set. Use oil-based inks in the tack range of 14-17 @ 1200 rpm. Higher tack, quick-set inks can cause picking and result in more frequent blanket washes. In-plant ink formulation is not recommended. Ask your ink manufacturer about Pearlescent specifically. Keep Pearlescent wrapped in mill packaging until the moment of printing. It is essential to let the paper acclimatize in the press room for a minimum of 24 hours – longer during cold weather. Also keep Pearlescent covered during drying, between passes and prior to any finishing work. Pressroom conditions should be as close as possible to 68 degrees and 45-60% relative humidity. 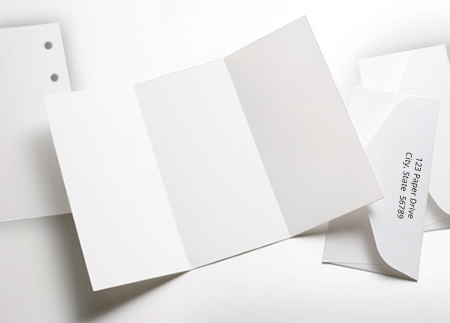 If the bindery has a different climate than the pressroom, allow the paper to acclimatize to those conditions. 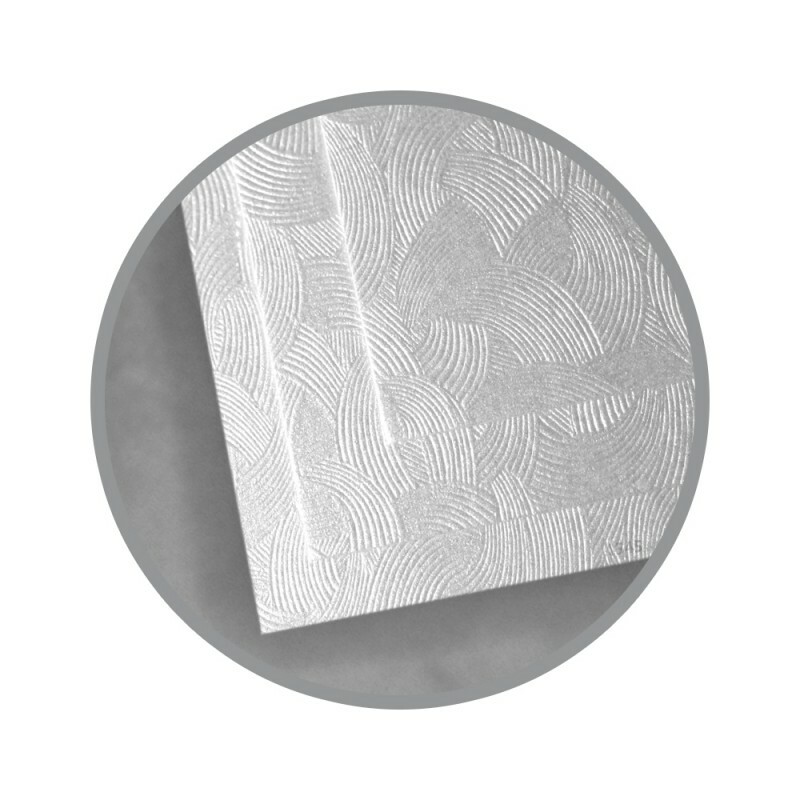 Pearlescent has a lightly coated backside recommended for full-color process. Printing solids and heavy coverage on the reverse may require more than one pass of the press and should be pre-tested to ensure you achieve desired results. Again, use low-solvent (0-5%), oil-based inks. Consult your varnish supplier, and pre-test Pearlescent products for compatibility. Apply varnish after the underlying ink is dry. 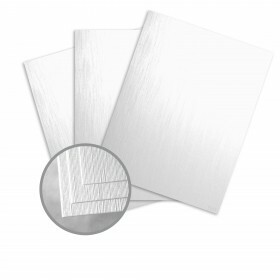 In order to achieve a high level of gloss, two passes of varnish or more may be required. UV varnish can be applied with good results. Our research indicates that aqueous coatings formulated for non-absorbent surfaces can be used with Pearlescent. We recommend pre-testing your formulation. Use a newly sharpened blade when cutting Pearlescent products. We recommend a 21° blade angle. Always fold, score and bind with the grain direction. Start with a 2 point rounded channel score to prevent cracking. The matrix channel should be a minimum width of 2.5 times the caliper of the sheet to be scored, plus 0.028". Do not use sharp tools when folding and scoring. This paper makes my cards stand out and create a wonderful impression on my clients. The excellent and timely service from The PaperMill Store is much appreciated.